What is SIBO? – I Can't Eat Anything! I think its years and years of stress that have been bottled up inside and is now wrecking havoc on my body, specifically my digestive system! The long and the short of it is that after a stressful year or so, I blacked out one night and had such a severe panic attack that my teeth were chattering like those wind-up false teeth that you can buy at Spencers (I remember going to this store in Paramus Park mall in New Jersey). I went to the hospital where I underwent a battery of tests and nothing was determined. From there, I started having severe stomach issues and took myself off gluten. This was around the time gluten was in the mainstream and gluten-free was talked about everywhere. The good news is that I felt better and never had the blackout/fainting spell/panic attack again, but the bad news was that you are not supposed to take yourself off gluten before being tested because your tests will be inconclusive. Though I have the celiac gene, I could not get a definitive diagnosis and will never know if I truly have celiac or not. From that point on, I have not dealt with stress or bottled up emotions very well which might contribute to my litany of chronic issues including: pyroluria, adrenal fatigue, high histamines, candida, anxiety and most recently SIBO, which brings me to today’s post. I’ve heard SIBO talked about and have read articles about it but really didn’t put all the pieces together until I had a detailed meeting with a nutrionist who told me what I was eating was wrong and I was doing more harm than good even though what I ate was technically healthy. My symptoms are not quite all digestive but a combination of neurological and physical along with the candida. My stomach at times makes weird noises and I have an occasional pain on the left side under my ribs. What is it? Small Intestinal Bacterial Overgrowth (SIBO) happens when you have too much bacteria / wrong type of bacteria in the small intestines. The number one cause? STRESS! Which leads me to adrenal fatigue, and its also linked to Candida! Food sensitivities are also connected to SIBO. And oxalates are made by the yeast of candida which makes them difficult to break down in process in people like me who have a host of health issues. I have also read about irritable bowel disease and SIBO, along with a lack of stomach acid in the stomach leading to SIBO. Its amazing how our bodies are so strong yet there’s such a delicate balance of everything. SIBO is often treated with antibiotics but herbal remedies are effective to, this is the route I am going. I am also battling chronic candida so I hope that by treating the SIBO, I’ll also eliminate the candida. 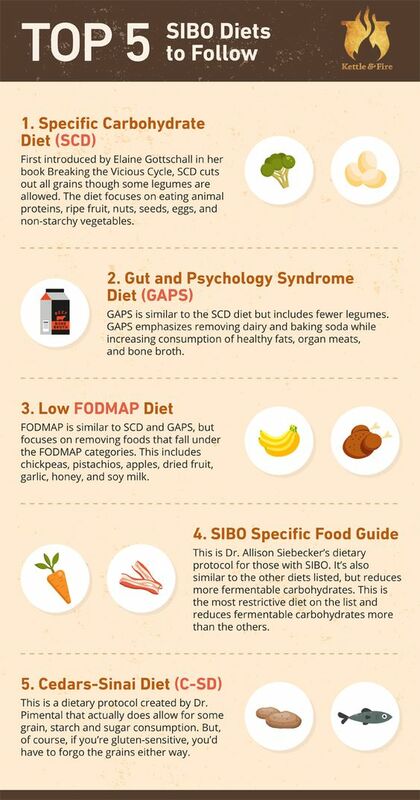 The diet for candida was difficult, but the SIBO diet takes it to a whole new level. I’m not going to lie, I’m starving! I have also lost some weight and have no energy which the nutritionist said is normal since my poor little body is fighting so many things at once. NO CARBS, No sugar. That doesn’t sound too bad until you realize that carbs are in starchy vegetables like potatoes, or the occasional handful of popcorn I’d snack on, or the tortilla chips I eat sometimes. Absolutely no sugar which includes coconut sugar and raw honey. No legumes, no soy, no yeast, I already have to be careful with oxalates so I cannot eat foods with high oxalates. Thanks to this annoying candida, I already cannot eat most fruits but now with SIBO, I cannot eat any fruit at all. In speaking with the nutrition expert, I learned how some of my supplements and certain vitamins were making everything worse! Such as probiotics might actually feed the SIBO. She got very detailed with me about how my adrenal fatigue supplements were actually contributing to my racing heart and other little tidbits about my “healthy” foods and choices. Its a bit overwhelming and I’ve been glued to the computer trying to learn about SIBO, along with everything else. My diet is now limited to no gluten, no sugar, no grains (even white rice), no pasta (not even my favorite brown rice gluten free pasta), no starchy vegetables, no fruit, very low dairy, no wine or alcohol, no soy, no yeast, low oxalates, low histamine foods, no processed foods (which I rarely ate anyway) no nuts or seeds. I found this website which is very informative and detailed about SIBO. Most informational sites as I am finding, have amazing information and then when you get to the healing part, you are introduced to a book or download for which you have to pay. I am really looking forward to being a normal person who can eat what I want someday! Have you had SIBO? Did you heal? I’d love to hear your thoughts and experiences on this. Previous Post Candida Overgrowth, What Is It?